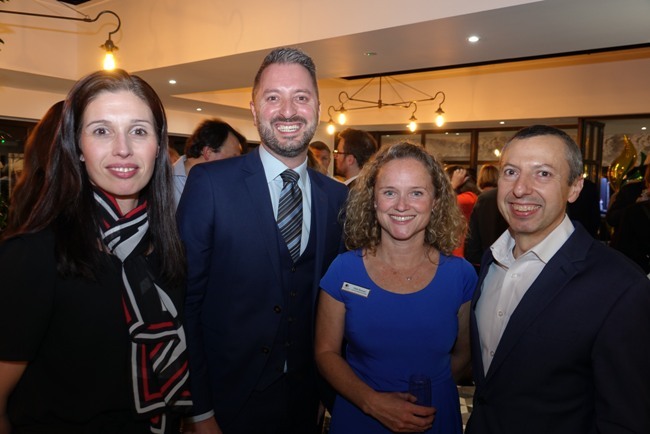 The DoubleTree by Hilton York has officially celebrated the completion of its £6m transformation, with a reception for representatives from the city’s hospitality, leisure and tourism sectors. The investment, undertaken in two tranches, has seen the addition of 42 new bedrooms, air-conditioning in all new and existing bedrooms, creation of a new fitness centre, re-configured reception, enhanced courtyard-area and an “evolving” food and beverage operation including a new kitchen garden dining experience. The event was held in one of the hotel’s new additions – its courtyard café – and the guests were treated to a selection of hot and cold canapes created by the Yorkshire bar and grill kitchen brigade. Hotel general manager Graham Usher, who paid tribute to his team for their support during both programmes of investment, said: “I would like to thank my colleagues from across the city for joining us to celebrate our transformation in a DoubleTree by Hilton. “York can be rightly proud of its hospitality and leisure sectors, and the fact that the city’s vibrancy has attracted tens of millions of pounds in investment in recent years, into building new hotels or upgrading existing ones.